The main town in the Himalayan state of Ladakh, for centuries Leh was a vital hub for trade caravans moving west into central Asia and east into Tibet. Today, Leh is home to a large population of Tibetan expatriates, and is also the site of an Indian military base. 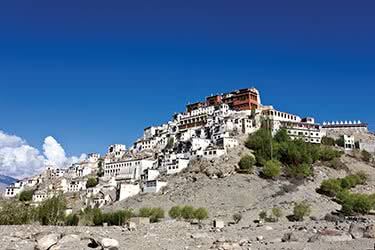 A small town, Leh is easily traversed by foot, with narrow, winding alleys and houses built from mud brick. 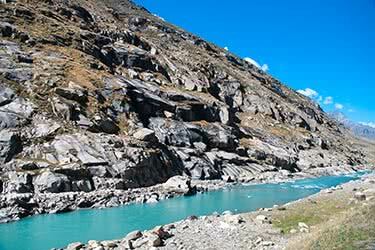 At 11,500 feet (3,505 meters), Leh's climate is cool and dry, with warm, moderate summers and severe, snowy winters. 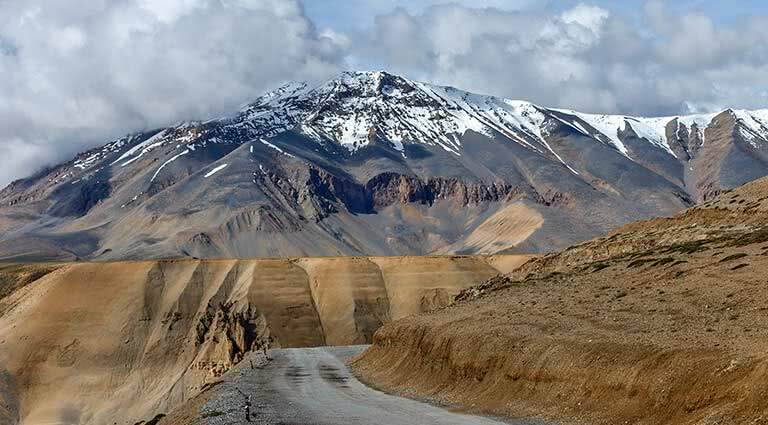 Drive from Leh to Alchi, a fantastic monastery complex and UNESCO World Heritage Site dating to the early 12th century, located approximately 40 miles (64 kilometers) west of Leh. Only discovered by the outside world in 1974, when Ladakh was opened to tourism, the complex is filled with remarkably well preserved paintings, carvings, Kashmiri temple architecture, and stupas containing holy relics. 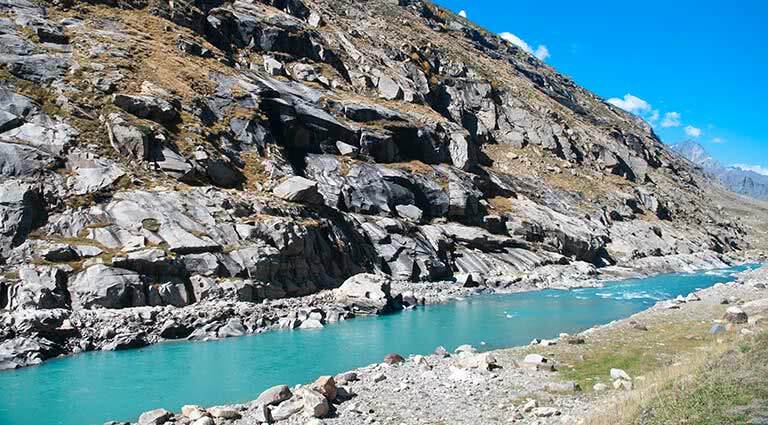 Embark on a one-day trek from Rumbak to Gandala Pass, nearly 16,000 feet (4,877 meters) above sea level; the pass affords fantastic views of the Himalayan peaks and the Markha Valley. Drive from Thikse south across the Indus River to Hemis Monastery, the largest and grandest of the monasteries in central Ladakh, known for its spectacular annual summer festival. 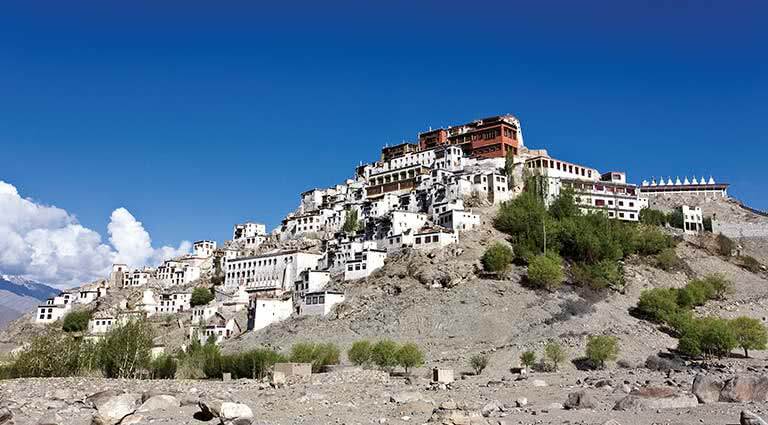 Take a day to get acclimated to the elevation and explore Leh at a leisurely pace, including the maze of alleys in the Old Town, the stalls of the city’s Main Bazaar, a reminder of Leh’s trading past, and the nine-story Leh Palace, which almost appears to be an outgrowth of its surrounding hills. The palace dates to the 1630s and shares architectural similarities with Lhasa’s Potala Palace, which it predates by nearly half a century. 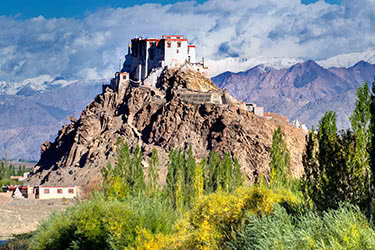 Visit Shey, the ancient capital of Ladakh, located about 9 miles (15 kilometers) outside of Leh. Once the royal residence, it is now home to an abandoned palace. A highlight of Shey is its 57-foot (17 meter) tall statute of the Maitreya Buddha (the Buddha yet to come), the largest in Ladakh. Also a must-see are the “five Buddhas of meditation,” giant rock carvings from the 11th century. 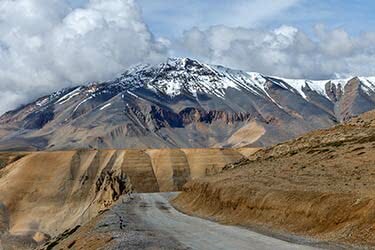 Another daylong trek takes you from Rumbak along a winding path up to Stokla, a resting point at an altitude of about 16,000 feet (4,877 meters) and 4,000 feet (1,219 meters) below the peak of Stok Kangri, the highest Himalayan peak in Ladakh. 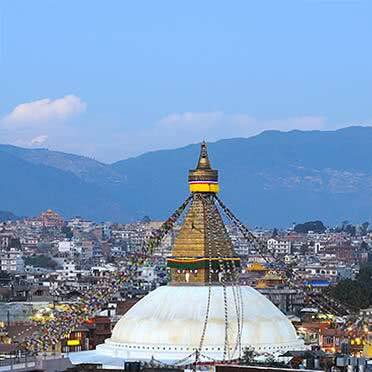 If traveling in October, your visit may coincide with the Thikse Festival, whose precise dates vary and are dependent on the Tibetan lunar calendar. The festival features sacred mask dances and a lively market where villagers trade and barter crafts, and artists create sand mandalas, the elaborate geometric symbols of the universe in Buddhism and Hinduism. 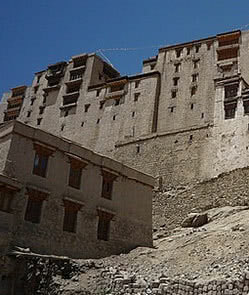 Drive through the Indus River Valley from Leh 10 miles (16 kilometers) east to Thikse Monastery, a 15th-century jewel perched on the crest of a hill and one of the finest examples of Ladakhi architecture. 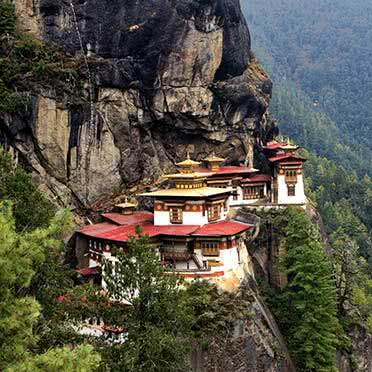 Belonging to the Gelugpa sect of Tibetan Buddhism – that of the Dalai Lama – Thikse has been consecrated by His Holiness himself, and is an active monastery home to about 80 monks. Drive to Zinchen, a tiny village consisting of just five houses. 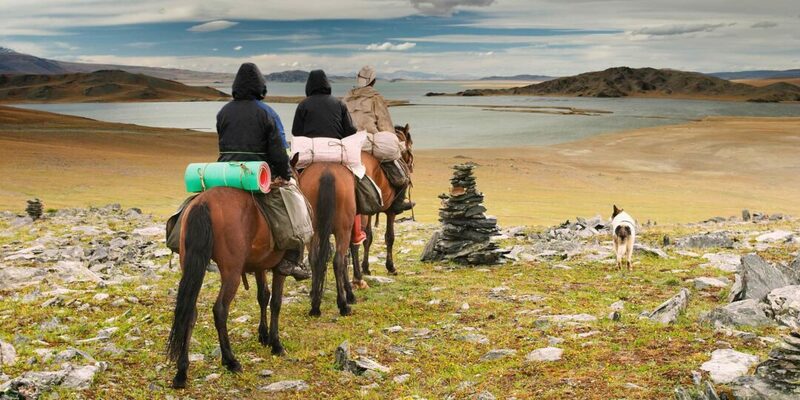 From Zinchen, hike five to six hours to reach Rumbak, situated at an altitude of nearly 13,000 feet (3,962 meters), keeping an eye out for golden eagles’ nests along the way. 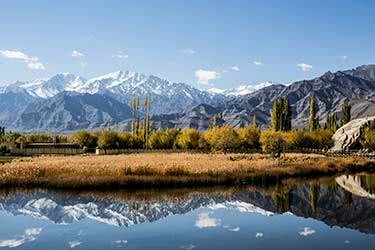 Step into India’s great outdoors on this exciting 14-day luxury adventure through Kashmir and the Himalayas. 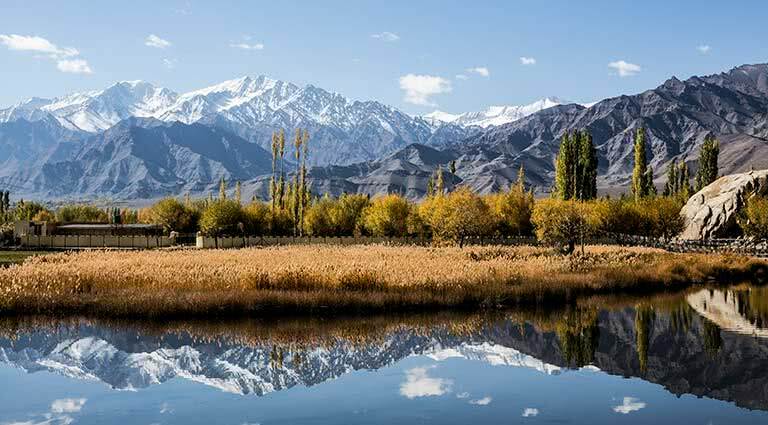 You’ll tour Old Delhi, receive a private blessing from a Buddhist monk, visit Khardungla Pass, stay at the lovely Windflower Hall high up in the Himalayan mountain range, and fish Kashmir’s rich waters. 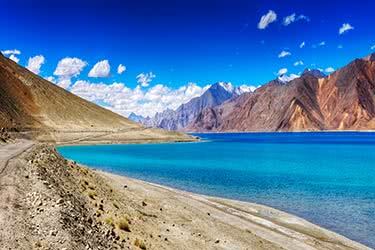 Embark on an unforgettable 14-day journey into remote Ladakh to uncover its historic and natural wonders. 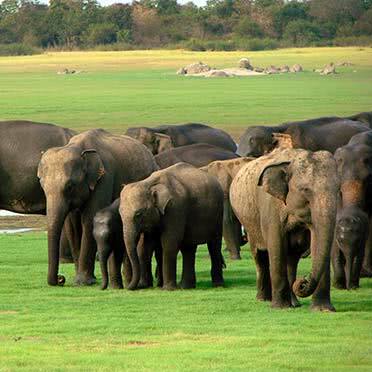 Spend your days exploring ancient Buddhist monasteries and temples and your nights in luxurious tented camps and a royal palace. 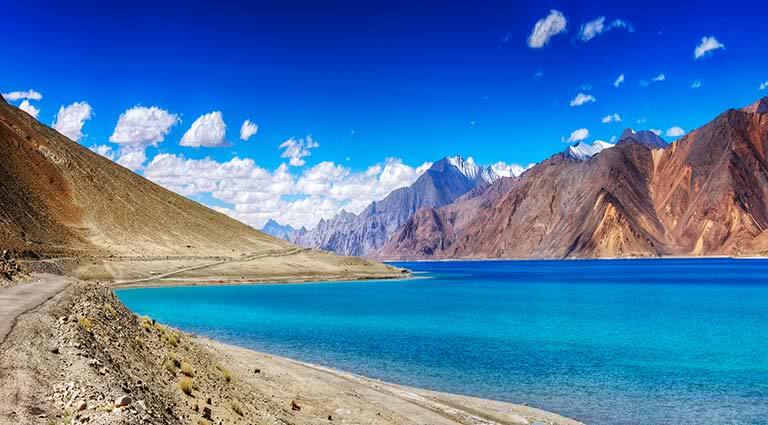 Ladakh, at an elevation of over 9,800 feet, is known for its icy lakes, glaciers, clear blue skies, picturesque valleys and historic monasteries festooned with colorful prayer flags. 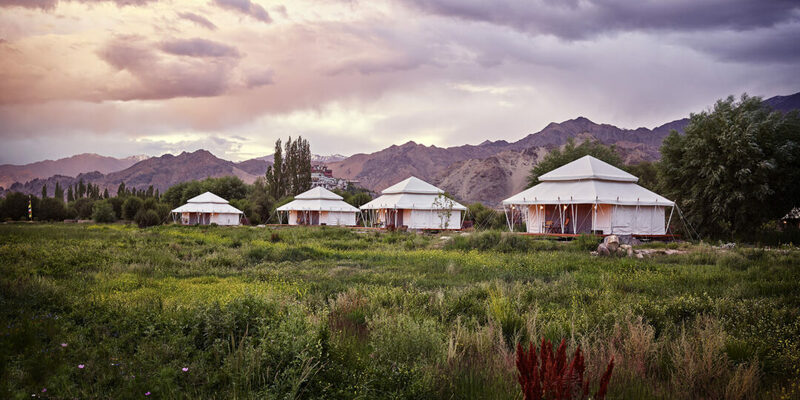 From the Chamba Camp, guests are well-placed to go on excursions to Thiksey, Hemis and Alchi monasteries, embark on hikes and treks, visit local homes, stage picnics or even play a game of polo. The area is rich in culture and history, with an Old City to explore and beautiful hamlets to visit. 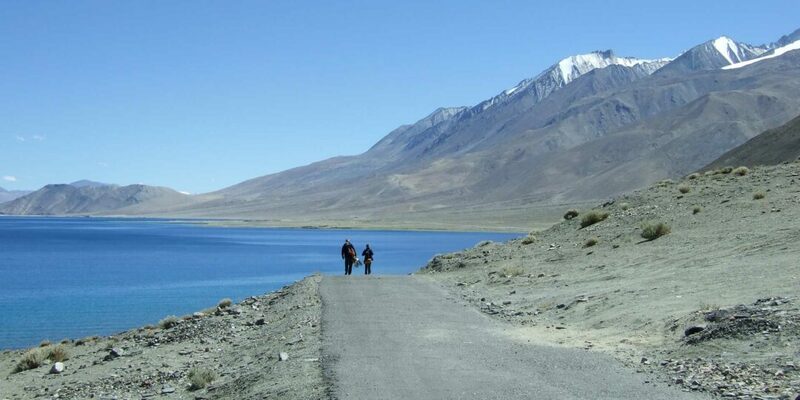 It’s also replete with natural beauty, known for its abundant birdlife and spectacular Tso-Moriri Lake. At Chamba Camp, guests will be treated to homestyle cooking by local chefs, and be regaled with tales from fellow guests or from travel experts while around the campfire. 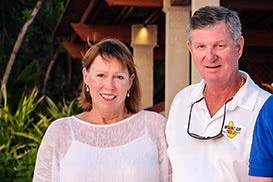 There’s a private butler on call 24/7 to cater to guests’ needs, whether they want to organize an intimate dinner for two or a day-trip to the Indus River. 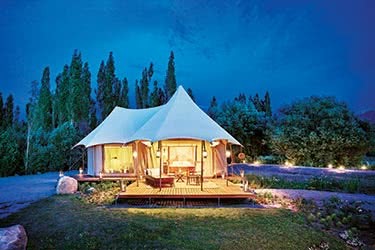 In their tents, guests are treated to five-star luxury, with spacious, beautifully-appointed living spaces, a private ensuite and indoor and outdoor seating areas. 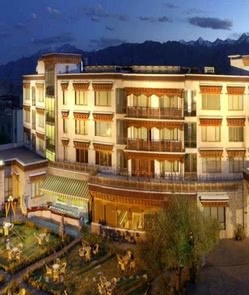 Surrounded by the Stok Kangri Mountains this modern hotel, established in 2007, offers a total of 82 rooms. The solar powered Grand Dragon is located just a 10-minute walk away from Leh Palace and Leh Market. All rooms at Hotel Grand Dragon have WiFi, satellite TV, a mini bar, and a coffee/tea maker. 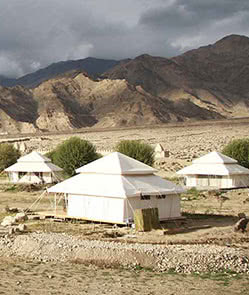 Hotel dining options include Tusrabs, which serves Ladakhi, Tibetan and Chinese cuisine. Zasgyath, a coffee shop, is also available and features a multi-cuisine menu that changes depending on the season. The in-house bakery, Solja, serves freshly baked breads and pastries. Hotel facilities include a garden, fitness center, outdoor swimming pool, spa and game room. Bicycles are also available for rental. The hotel is located approximately 10 minutes away from Kushok Bakula Rimpochee Airport in Leh. 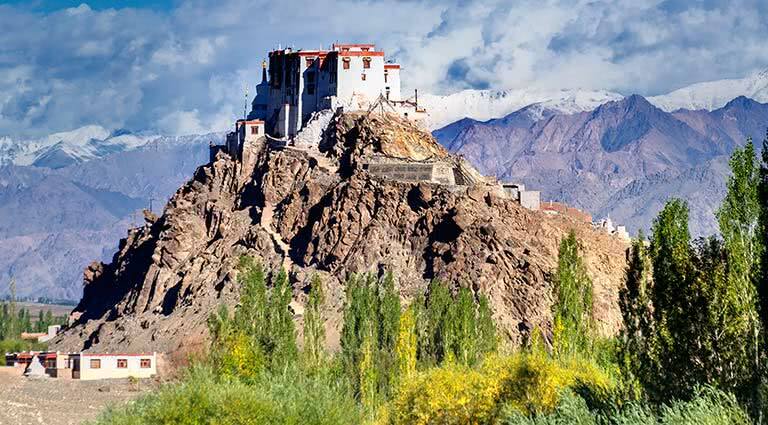 The official residence of the Ladakhi royal family, the Stok Palace is a 200-year old four storey palace sitting on a mountainside moraine overlooking the valley. Its 77 rooms & suites are beautifully decorated with colourful hand-painted woodwork and Tibetan rugs, and have magnificent views over the Indus valley. The hotel also boasts splendid gardens and a fascinating museum which includes jewels, armour and ceremonial Buddhist scrolls. 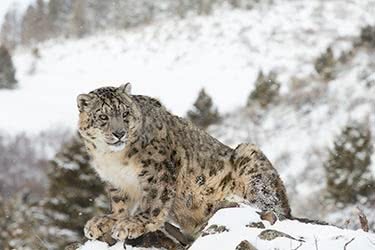 Himalayas, snow leopards, and an abiding cultural heritage – Leh is a destination like no other, but when it comes to luxury, travelers need to know where to look. 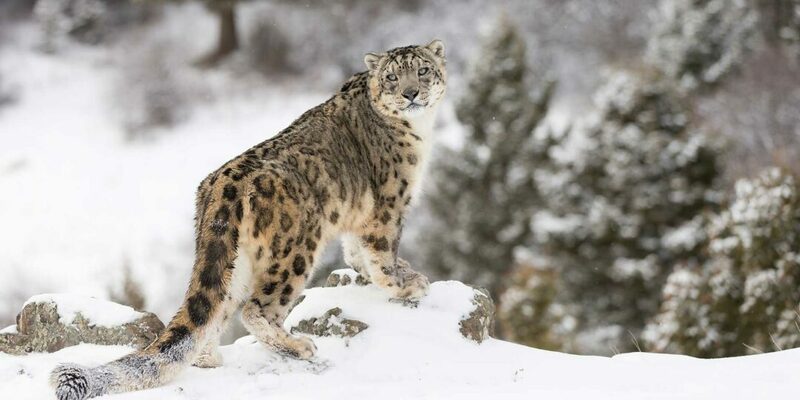 Lurking furtively among the coarse, weathered mountains of the dry Ladakh region of India is one of the most elusive creatures in the natural world, a majestic beast of stealth and solitude. 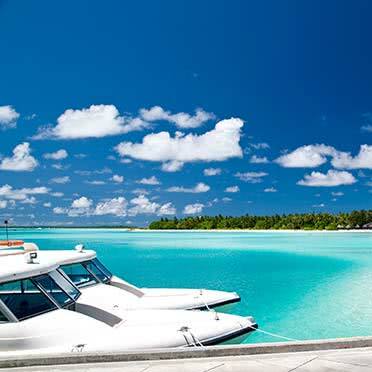 We want you to be as excited by Asia as we are, so we’ve put together our list of a Dozen Dream Destinations for 2013.